Weekly Wellness Roundup Has Juicy News For You! 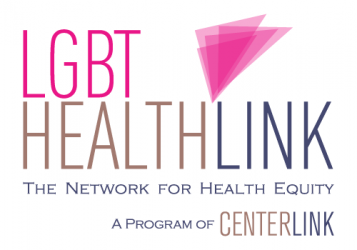 Each week LGBT HealthLink, a Program of CenterLink, and researcher and blogger Corey Prachniak-Rincón bring you a round-up of some of the biggest LGBTQ wellness stories from the past seven days. For more LGBTQ Wellness, visit a page dedicated to the topic here. A study found that lesbian women are more likely that bisexual and heterosexual women to report they usually climaxed during sexual activity, with 86% of lesbian women saying so compared to 66% of bisexual and 65% of heterosexual women. Gay (89%) and bisexual (88%) men were about equal to heterosexual men (95%). Factors like relationship satisfaction and type of sexual activity made a difference in how often one achieved this feat. A first-of-its-kind U.K. study found that sexual minority cancer patients face many disparities in the care they receive, including feeling more isolation than other patients, experiencing heteronormativity from providers and resources, and not being included in decision-making. Researchers recommend more provider training in LGBT care and better monitoring of sexual orientation in care and research. Researchers found that a majority of transgender patients want their healthcare providers to know their gender identity, with 89.1% saying it was important for their primary care providers to know. 57% also think it’s important for their primary care doctors to know their sexual orientation. The results support the idea of increasing LGBT data collection in healthcare settings. Crisis hotlines for LGBT youth experienced a rise in calls after the White House rescinded rules that protected transgender students in schools by ensuring that they could use the bathrooms and locker rooms that match their gender identities. NBC reported that such protections are necessary to protect the health of transgender youth, according to experts. Buzzfeed shared the stories of fifteen transgender African Americans and the challenges they encounter in accessing healthcare. Many highlighted instances of being treated rudely or even hostilely by healthcare providers, and shared how those experiences impacted their health and wellness. ABC premiered a new mini-series, entitled When We Rise, telling the inspiring stories of some of the leaders in the LGBT rights movement. The selected stories highlight the community’s struggles with mental health, the HIV crisis, and access to gender-affirming care.